Green Finance Group is a multi-award winning finance brokerage servicing clients in all Australian states and territories. When it comes to securing finance for your business venture, you only get one chance to get it right. 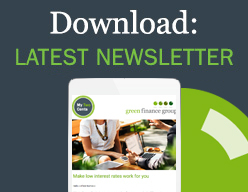 The team at Green Finance Group (GFG) are industry-recognised commercial, residential and equipment finance specialists with extensive experience in the sourcing and refinance of funds for new and existing projects, ranging in value from $50k to $100+ million. We believe in focusing on the opportunity of each and every application and stand by our commitment to invest our time and expertise in deal packaging and successful negotiation. We also provide our clients with the benefits of in-house Financial Planning and Insurance services through our specialist advisory teams. That’s a full suite of finance, investment and insurance products to protect and improve your financial health and wealth, all in the one place. Even if you are happy with your current financier, we can provide a consultancy service, to review your current finance arrangements and ascertain whether a better deal can be negotiated on your behalf relative to the marketplace.